Virtually all of us sell something. Some sell products, others sells services. And some of us have to sell our ideas in order to convince our leaders and team members that our way is the right path. Online social networks can be exceptionally powerful tools for us as sellers – IF we know to use them effectively. A stranger requests a LinkedIn connection and you accept, only to have that stranger pitch you for something you don’t need. A Twitter user randomly mentions you in a Tweet in order to get you to click on a link to their product or service. You receive an email from a stranger offering you services that you don’t need. This is how not to sell online. 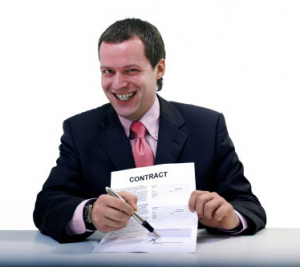 The seller has taken no time to understand you or your needs, so the offer is not relevant. This approach does nothing to build trust. It is a classic old-school selling approach applied in the social networking environment and it makes no sense for most sellers. When sellers approach me this way online, I disconnect, unfollow and even block or report them for spam. 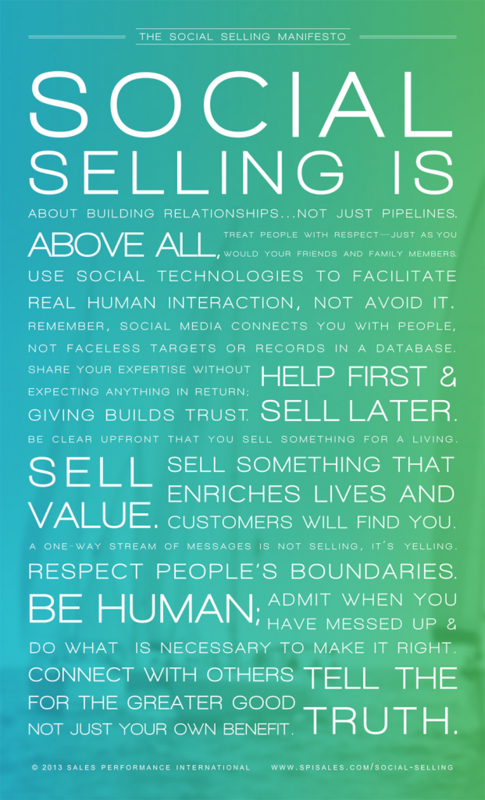 Social selling is a different approach to being a seller online. It is about being contextually relevant to the buyer and building trust. It is about attracting interest and leveraging relationships to sell people things they actually want and need. Social selling combines the best practices of traditional networking with skillful use of social media. Think of social selling as how you would behave in a networking situation and then act that way online. Typically, you don’t meet people in person for the first time and ask for their business immediately. Successful relationship sellers learn how to build relationships, cultivate trust, and uncover pain points before pitching any solutions. Spend 10-15 mins/day on LinkedIn and Twitter paying attention to people in your network. People are more apt to pay attention to you when you pay attention to them. Invest your attention in your network and people will respond in kind. Find great content to share regularly. Focus on what people in your network will find interesting – not what you want to sell. If you are consistently interesting, you will win people’s attention and respect. Share frequently on LinkedIn (3x/day), Twitter (5-10x/day), Facebook and Google+. Even if people don’t ready most of your shared content, you will be visible and top of mind. Write. Transcribe your vision into words. Articulate how you see the world. This will serve as a stand-in when you can’t meet with someone or have a conversation. Plus, it will help you clarify what you’re thinking. Publish on your blog. Guest post on other people’s blogs. Write opinion pieces and columns for media and trade publication sites. Publish on LinkedIn. Analyze your social data – the likes, shares, and web traffic coming from your content. Know what is driving traffic and engagement and focus on delivering more of that to your audience. Embrace your personality online and be yourself. Don’t be shy about sharing your unique perspective – your experience is what makes your knowledge more interesting and engaging. Strive to be the personal brand values you want to be known for. Thanks, Niraj. I appreciate you taking the time to read and comment.